When was the last time you heard some really incredible news that you couldn't wait to share? The Gospel of Mark is that kind of good news! It’s a life-changing announcement about who Jesus is, and what he’s done. 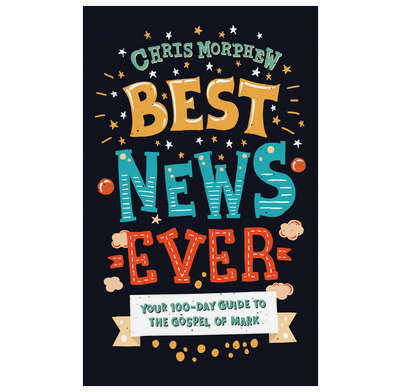 Best News Ever is a devotional that takes tweens aged 9-12 on a 100-day journey through Mark's fast-paced, action-packed story—helping them to understand the confusing bits, showing them how it connects with their life, and bringing them face to face with Jesus: the one who changes everything. Written in a pithy and engaging style, Best News Ever will help young people of all backgrounds to read the Bible for themselves, whether they know a little or a lot about Jesus already. It is also ideal to use as a family devotional.